Model ID: PM-25 Bhambra Engineering Works offers Bar Pointing Machines, PM-25. The electrical drive of PM-25 has 2.2K.W. / 1500 RPM / 415V. - Construction of the Machine: The body & base of the machine will be of rigid casting. 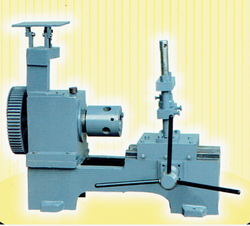 - Head Stock: The machine will have geared head with four speed change system. - Cutting Operation & Feeding: The cutting tool is mounted on a cutter head which in turn is fixed on a revolving spindle. We are a leading organization engaged in manufacturing and supplying Automatic Bar Pointing Machines. We are involved in providing the wide range of Pointing Machine. We can process 16 mm to 75 mm bars with manual and self adustable. We manufacture various models to suit specific purpose and range. It is made by the team of highly skilled and experienced professionals. It is available at market leading prices and are appreciated by the customers. 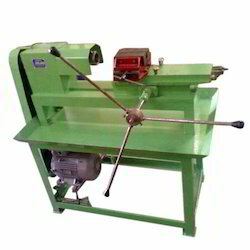 Round bar Pointing Machine Used For peeling Bar to make bar ready for drawing.We Manufacture Round Bar Pointing Machine 8 mm to 125mm.All Round Bar Machines Are Heavy Duty Manufactured. We are involved in offering a wide assortment of excellent quality Bar Pointing Machine to our clients. These Bar Pointing Machine are appreciated not only for high performance but also for energy efficiency and less maintenance. These Bar Pointing Machines are widely available in various specifications and dimensions.